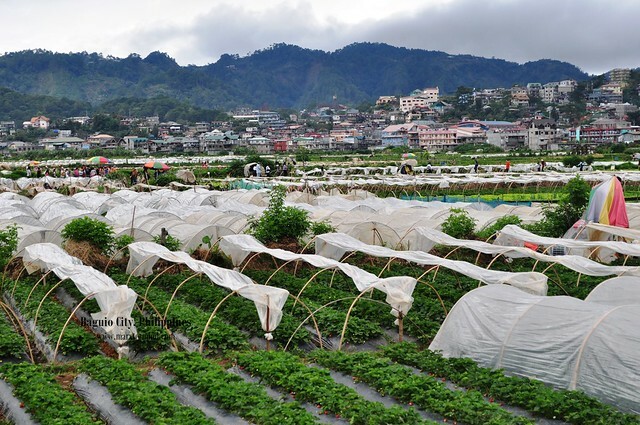 Baguio has been my favourite place to go to whenever I want to escape from the city life. Its cool weather and refreshing surrounding, it’s a good place to lighten up and to unwind. But with unstoppable number of tourist coming to this place the city became swarming. Each spots are now clogged with people. 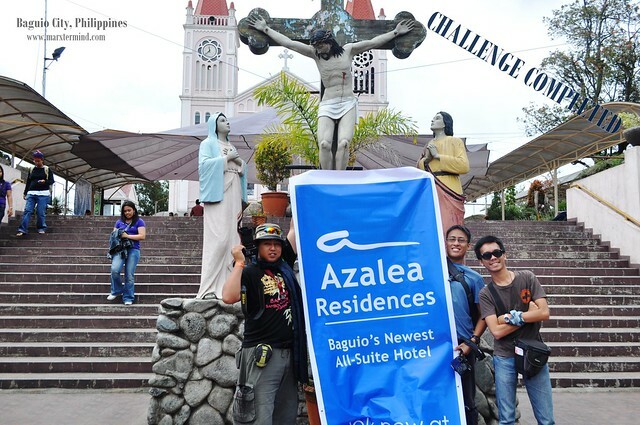 Few months ago, I together with fellow travel bloggers were invited for an overnight stay in the city of pines. 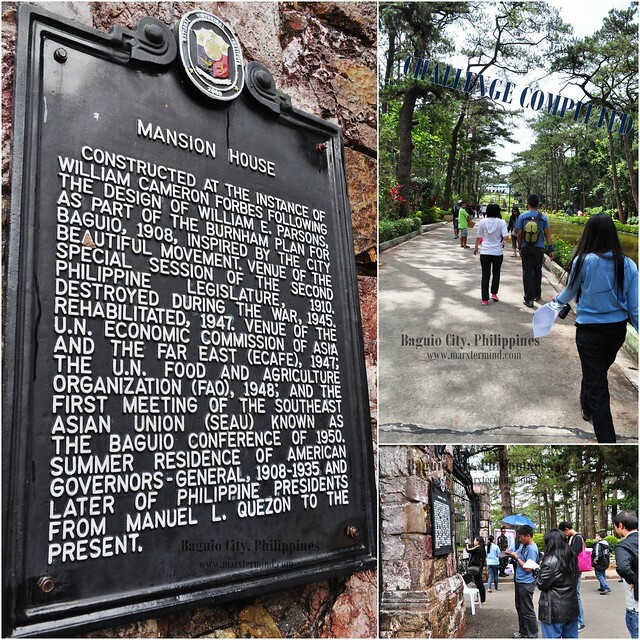 Our first day happened having a free tour together with some resident Baguio City bloggers to revisit some of the famous spots of the city which at first sounds kind of all right, but we knew there’s a catch on that. And the catch? 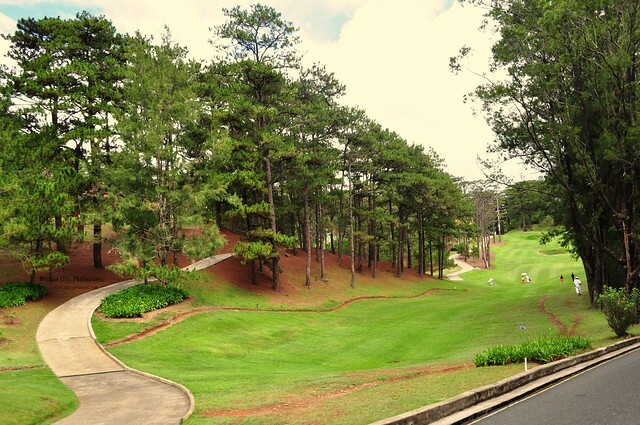 Touring around Baguio with a twist. A tour ala amazing race. Though we’re still all restless I found it kind of fun and exciting. Each group consists of three members. Each group should get to the specified destination on a specified time and do the challenge accordingly on the allotted time. To know what the challenge is, you need to ask random people who has been assigned by the organizers. Each group should get the flag from those people who holds the note for the task and if you were able to accomplish it you’ll be given another note which indicates the hint for your next aim. The van will leave on its expected departure time so if you fail to finish the task on time, you’ll be left behind and you need to take a cab or any transport to get to the next destination. Woooh! Looks like we need a lot of endeavour and drive on this one. Extra challenge, eh! I was grouped with Dom of Escape Islands and Dean of WatWatWorld. Run around the Wright park lake in three rounds. Write down all the information about the Mansion posted in the main gate. Take a picture with the guard on duty. What happened? As soon as we got off from the van, we looked for a prospect who might be holding the note. The other group were able to locate it in no time so we just followed and approached them. We did not run but did a brisk walk around the lake of Wright Park for three rounds. Afterwards, Dom wrote the info about the mansion attached at the gate wall. Subsequently, our group took a picture with the guard on duty. 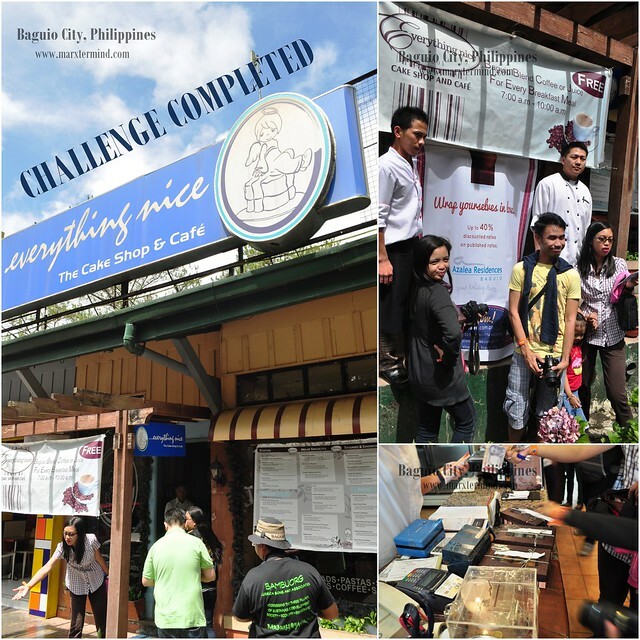 Look for Everything Nice restaurant and buy PHP 100.00 worth of chocolate cake. Take a picture with chefs. What happened? We were able to locate the restaurant instantly. We bought a box of chocolates for PHP 100.00. Then asked the chefs to have our picture taken with them. Look for this specific stall. Buy Bugnay wine (if I remember it correctly) and buy fresh strawberries. Drink one shot of the wine and eat a strawberry. Take a group picture with the owner. What happened? We had a hard time locating the stall. What we did is looked for the organizer and see if where they headed too. Voila, we’re able to find the store. We drank one shot of wine each and have eaten a strawberry afterwards. We took a group picture with the owner. Look for Scott Madon in Wright Park and rent a horse for horse back riding around the park circle. A member should ride the horse and the other one should be its guide. Do the horse back riding in three rounds. Wright Park. 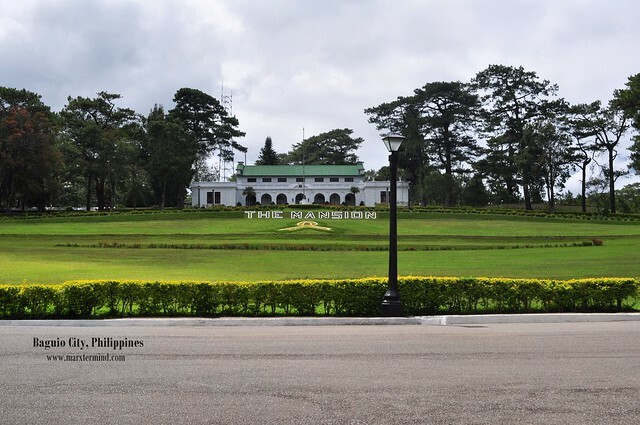 The park is located at the eastern part of Baguio City and fronting the main gate of the Mansion. It has a rectangular body of water which is surrounded by pine trees. There’s another park located at the other end, also known as park circle which is a place for horse back riding. What happened? We looked for Scott Madon. He’s one of the pony boys in the Wright Park. We rented a horse for a 30-minutes horse back ride. I was the one who first rode the horse and did the first round. Then, Dom was the second one and I was the one who guided the horse to walk around the park circle. 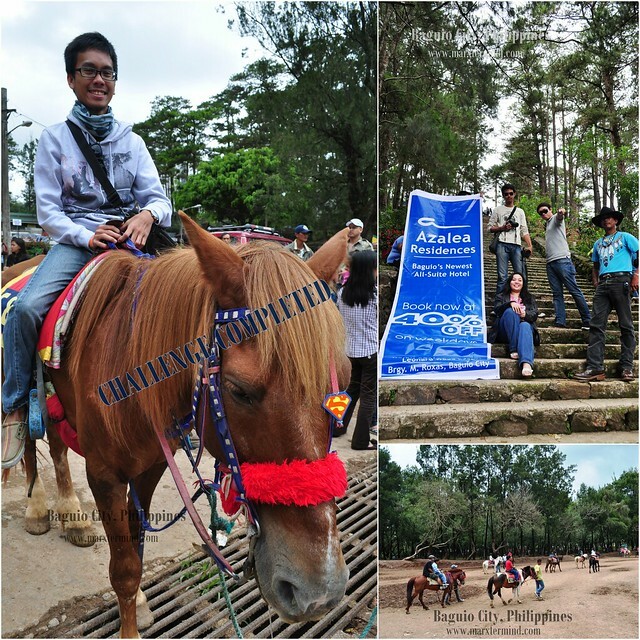 What can I say about my experience guiding a horse? Well, the path is unpaved and most part of it was muddy. I was so focused about our way so to avoid the muddy areas. Whenever we passed by these muddy area, I let the horse walk by itself. Well, I was still able to enjoy it. 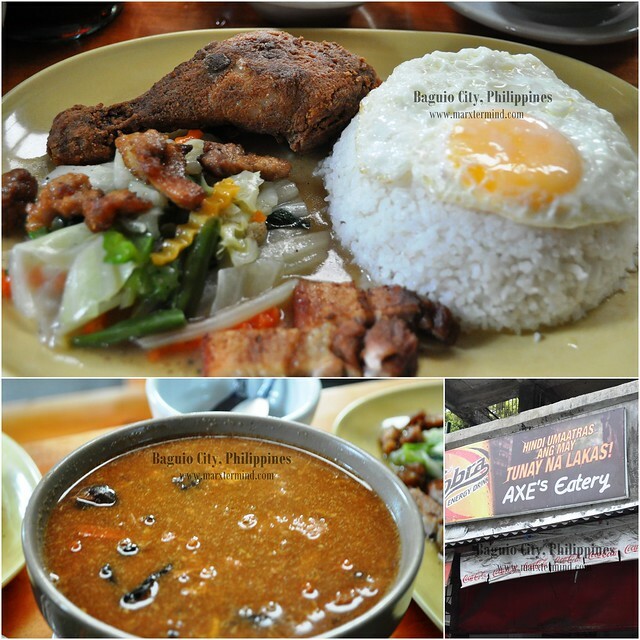 Afterwards, we we’re guided to Axe’s eatery which is just a few walks away from the Wright Park. There we had our lunch before getting to our next task. Most of us ordered the Axe’s meal (which I forgot the exact name) which consist of fried chicken, vegetable, fried egg and rice. One of my group mates ordered this spicy soup which we really enjoyed a lot. The eatery is highly recommended especially to those who are in a budget. Looked for the guard on duty who holds the flag and the task. Take a picture of the cathedral with the guard on duty. Baguio Cathedral. Also known as Our Lady of Antonement Cathedral is a Catholic Cathedral located at the Cathedral loop next to Session Road. The cathedral is very distinct because of its pink facade with a rose like window and twin square bell towers with pyramidal roofs. 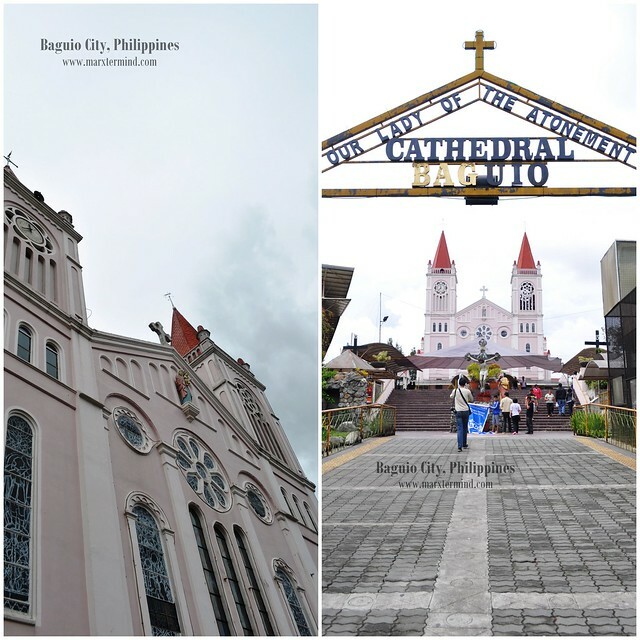 It is one of the most photographed churches in Baguio City. What happened? After lunch, we then headed to Baguio Cathedral. Some roamed around the church while others looked for the guard on duty. We were scattered around. But when the other groups already found the guard on duty we approached them then waited for our turn for the task. We took a group picture in front of the cathedral. 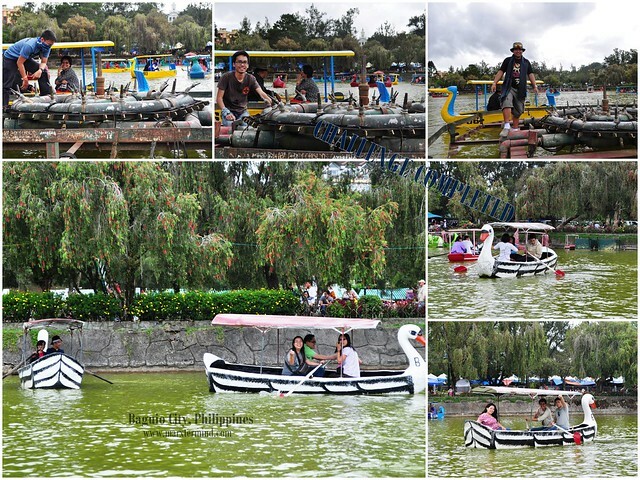 Rent a boat in Burnham park. Sail around the lake in three rounds. Burnham Park. 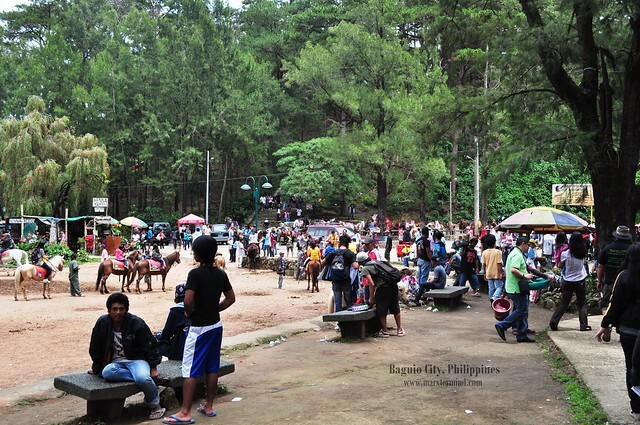 The park was named after Daniel Burnham who was the city planner of Baguio City back then. 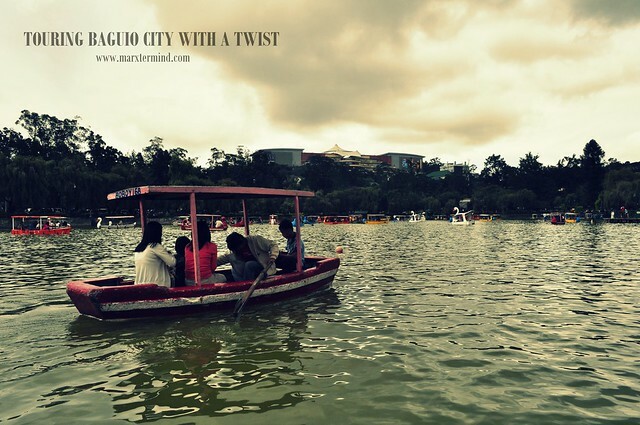 it is located at the heart of the city consisting of a man-made lake. The park is occupied with people both locals and visitors. 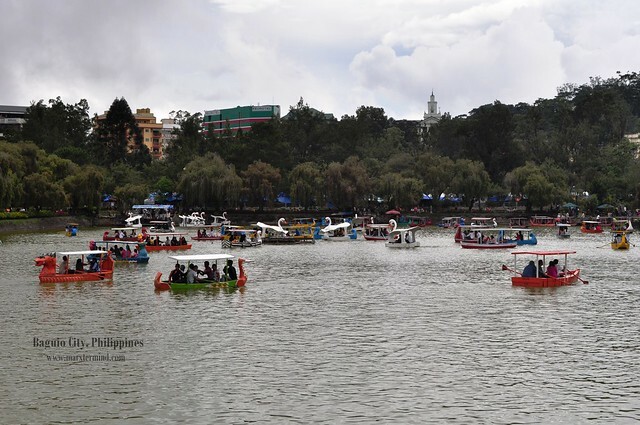 One can row a boat, have a picnic, go biking, do a photo walk or just do a stroll around the park. With these numbers of activities to do in the park, it became a favorite place for everyone. What happened? We rented a boat. Dean and Dom rowed the boat while I took pictures of the surrounding. No effort on my end. Hehehe. Anyways, Dean told us to get to the center part of the lake and have some photographs by each one standing on the steel situated at the center area. I’ always see this thing whenever I get to this lake but never really gotten off the boat and stand on that steel. It was a new experience indeed. After all, this tour is all about experiencing the famous spots in a new way. Cordillera World. 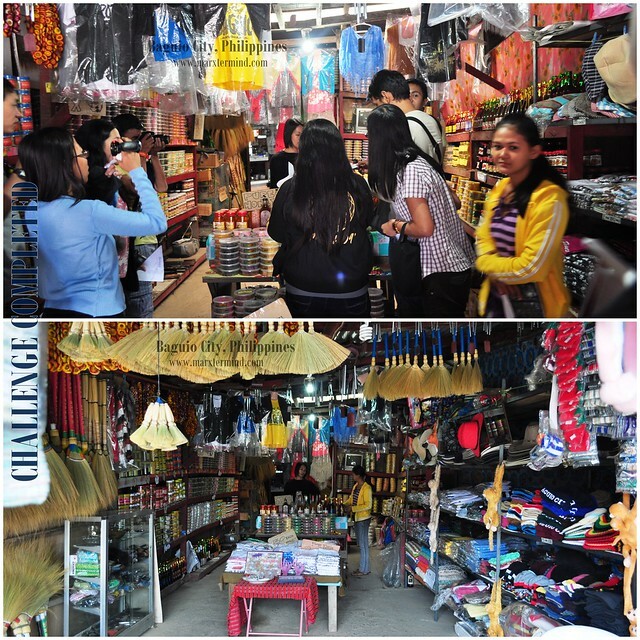 A store located in the Mines View Park wherein you can see numbers of crafts of Cordillera. 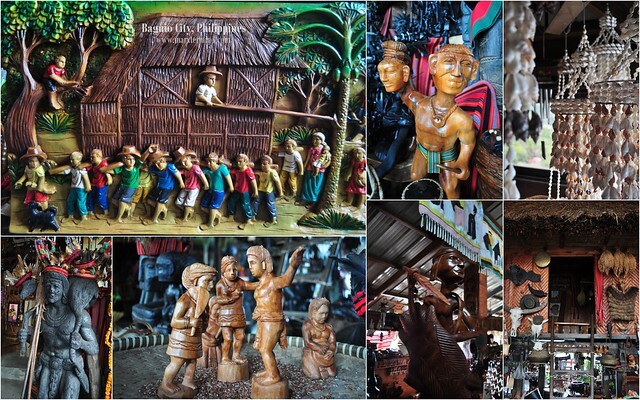 There are various of artworks, statues and design which show the culture of Cordillera. What happened? I was a bit worried upon knowing the next task. I don’t think I can wear a bahag without my pants. Thankfully, when we reached the store they let us wear the bahag without taking off our pants. Well, I felt relief. Veteran Pine. Afterwards, we walked away from the Mines View park and went to the Veteran Pine. I wasn’t familiar about the Veteran Pine so I was looking forward to see it as we approached the area. I was so amazed on how the tree looks like. 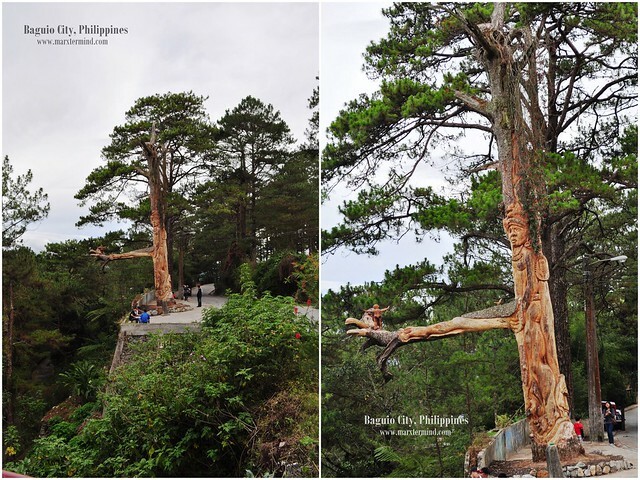 Actually, the Veteran Pine is a 200-year-old Benguet pine which was already dead but has been reshaped into a 50-foot tall “Mother Earth” monument. 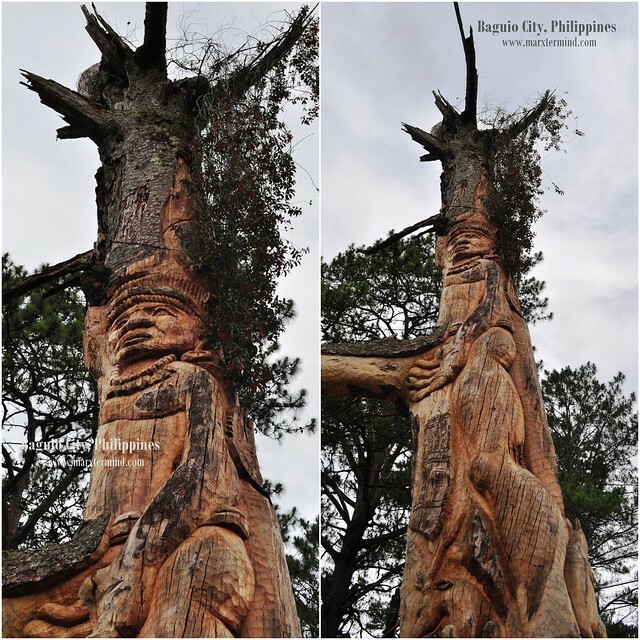 It was indeed a giant sculpture which Cordillera woodcarvers worked for 11 days to turn it into an artwork. The day has been long for us already. A day full of activities and challenges. A day when I experienced new things about the city and learned new places to explore to. We were able to finish the tour on time and able to accomplish all tasks completely but unfortunately the other group won. After all, this ain’t a competition. We’re here to enjoy and have fun. It was indeed a pleasant tour especially with my travel friends around. If you look closely then look at it in full view. You'll realize what's the tree is pertaining to. Hehehe! Yup basta before Mines View park sya I think tourist doesn't know na this tree exists kasi kami lang ang tao sa Veteran Pine area. Yung puno parang sa Lord of the Rings lang. Malapit sya sa may Mines View Park. madadaanan sya. Basta along the road lang. The haggard games! Super epic. Mga bagsak sa kama pag katapos! Hahaha. Namiss ko kayong lahat! saan banda yung veterans pine, ganda ah! Yan yung last month pa with PTB. ako di naman mahilig horse back riding, pero for the sake of experience lang. Hehehe!